Karim Benzema, Gareth Bale and Cristiano Ronaldo -the so called BBC- scored two goals each as Real Madrid booked their place in the Champions League quarter-finals with an emphatic 1-6 victory against Schalke 04. Los Blancos improved their woeful record on German soil, where they had only won once in 25 matches. 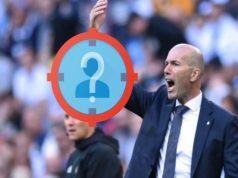 The hosts were clearly inferior and they will travel to Madrid for the second leg knowing that qualifying for the next round is almost impossible. It quickly became clear that Schalke were facing an uphill struggle. Cristiano Ronaldo sent a backheel pass for Bale, but the ball deflected off a defender and arrived to Benzema, who made no mistake from inside the area. The Germans could have changed the game in the next minute Julian Draxler met a cross inside the box, but Iker Casillas made a brilliant save and Max Meyer sent the follow-up above the bar. Benzema had one of the best performances of the season. In the 20th minute, he made a great effort to steal the ball from Felipe Santana and hand it to Bale. The Welshman scored another superb goal –he netted one of the best goals of the season last weekend against Elche– after dribbling past two defenders and curling one to the bottom corner. Los Merengues were in total control and they could have scored three or four goals more before half time. Angel di Maria was denied a clear chance as the offside flag went up, Ronaldo smashed the post with a powerful shot and Benzema sent an effort inches wide of the crossbar. Ronaldo scored his 10th goal in six Champions League games this season, driving past Joel Matip in a stunning play and flashing an effort into the far corner. Things got embarrassing for Schalke as the Portuguese sent a brilliant pass for Benzema and the Frenchman rounded the goalkeeper to make it 0-4. 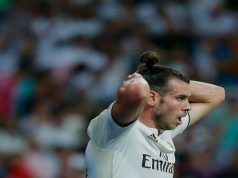 The hosts were completely demolished and Bale scored the fifth for Los Merengues curling a strike into the bottom corner after picking up a pass from Sergio Ramos. The defeat could have been even more humiliating for Schalke, but goalkeeper Ralf Fahrmann made a few good saves before scored his 11th Champions League goal of the season with only one minute to go. Former Real Madrid striker Klaas Jan Huntelaar ended Iker Casillas record of minutes without conceding a goal in stoppage time. The Dutch scored the best goal of the night, and probably the best so far in the tournament, rattling a wonderful volley into the top corner from outside the box.